Not knowing how to handle a threating or dangerous situation or not knowing how to react in a professional and responsible manner can lead to a subjective feeling of insecurity in the workplace. Conflicts are part of our life, they also give us a possibility to develop however we often regard internal and external conflicts to be disturbing and threatening. Conflict and conflict potential in the work environment is constantly increasing and is an underestimated – as unknown – risk for the welfare of both employees and companies alike. 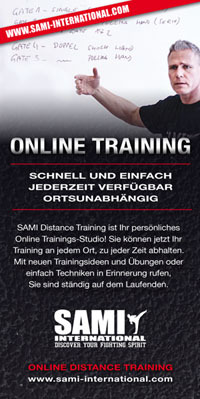 To address this SAMI International has been offering offers security training courses and seminars to a multitude of different vocational groups Europe wide since 2002. HOW CAN I EFFECTIVELY PROTECT MYSELF OR MY EMPLOYEES? Theoretical and practical knowledge can provide you with the possibility to actively influence events as they happen. Our program is designed to assist you with conflict management and conflict resolution in conjunction with self-protection. Our seminars and courses offer participants a clearly structured system (with responses in relation to level of threat) to support them in development of problem solving strategies and increased competence in handling aggressive or violent situations against themselves or others. To put employees in the position that they have the confidence to respond and act appropriately, correctly and in a coordinated manner in both routine and extreme situations. What are the advantages for Employer and Employees? We have been offering courses and seminars to professional groups since 2002 including; in hospitals, in psychiatric facilities, to NPOs, to social workers, to security personnel, to rail and airline personnel etc. Our courses are adapted to the relevant field of our participants and are mostly held on-site or if preferred externally at one of our training centers. 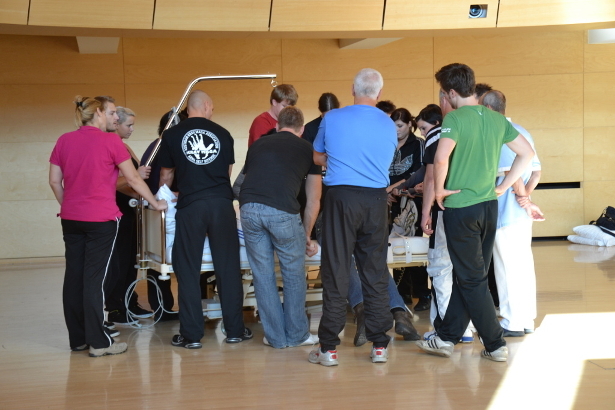 Our experienced trainers may be booked for lectures, seminars or workshops and are specialists in the fields of self-protection, prevention of violence, security training and prevention of dangerous situations.